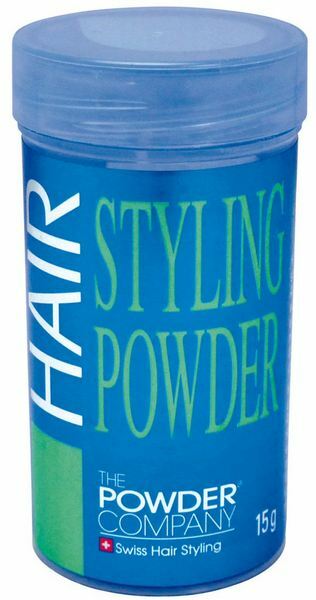 Hair Styling Powder creates big volume and shape with a matte finish. Hair Styling Powder creates big volume and shape with a matte finish. With its special formula the Hair Styling Powder develops a sticky invisible film with friction and creates a particular voluminous look. The powder is especially recommended for the styling of thin hair. Does not leave any residue. Apply a small amount of powder on the hands and rub until it is invisible. Style your dry hair as you wish. Alternatively, dust direct at the roots and work through with fingers. With its special formula the Hair Styling Powder develops a sticky invisible film with friction. With its low weight, the powder enables a particular voluminous look.